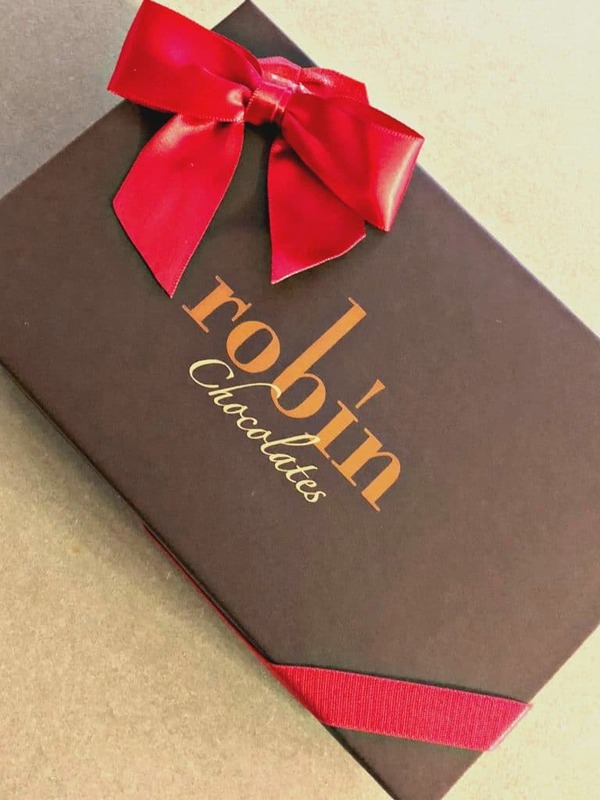 Disclosure: I received a box of Robin’s Chocolates to try. All opinions are my own. With Valentine’s Day only a short week away, I am busy preparing, treats for my kids school, little gifts for the family and of course something special for the husband. 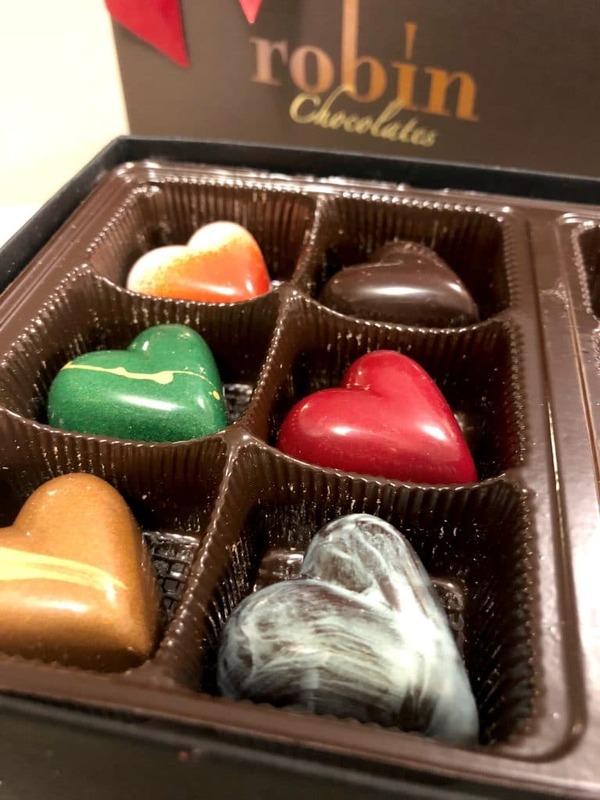 My husband is a big fan of chocolates and when I saw the beautifully designed chocolates from Robin’s Chocolates, I knew that this was the gift for him. 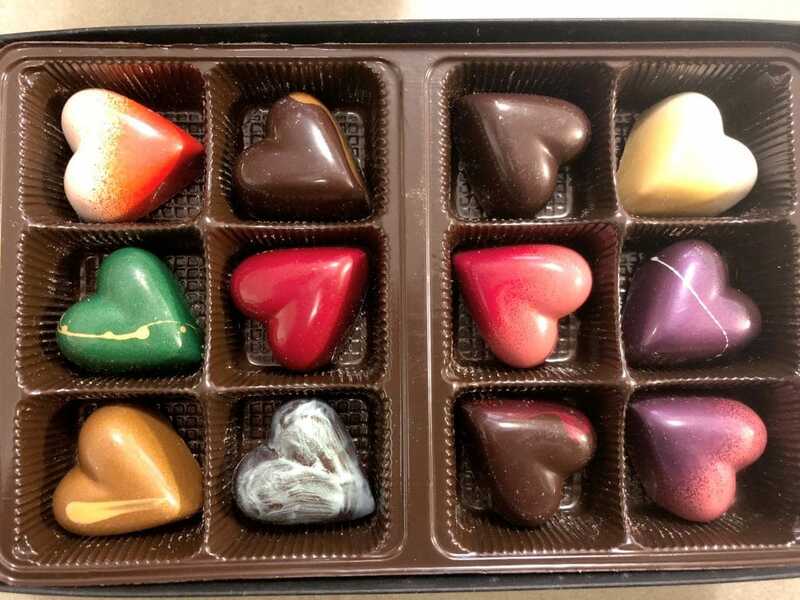 These are the absolute best chocolates for Valentine’s Day. We keep Valentine’s Day simple and try to just get each other something that is simple and sweet. He almost always gets me flowers because I just love having fresh flowers in the house, and I can never go wrong with a box of tasty chocolates for him. 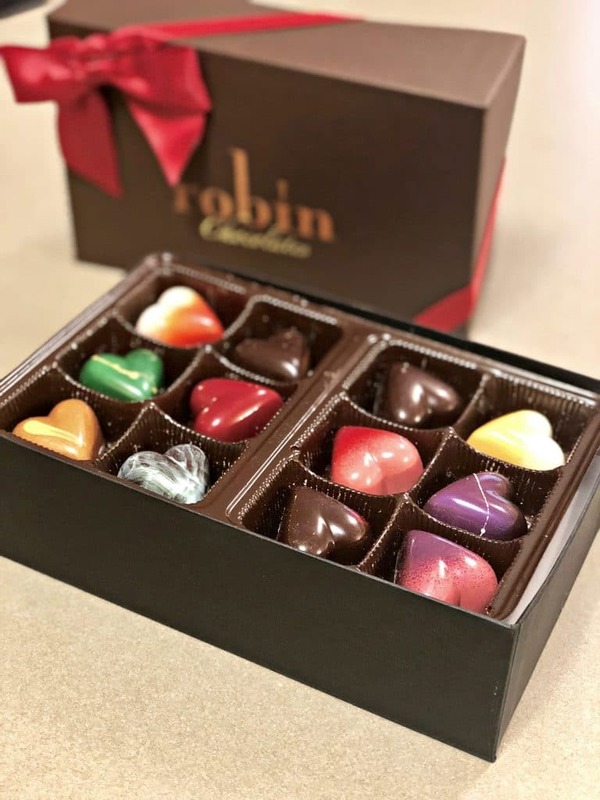 This Valentine’s Day collection from Robin’s Chocolates was just so pretty that I had to order some. I mean just look at them. They are beautifully designed with some amazing fillings. Coffee Liqueur Caramel, Chocolate Caramel Fleur de Sel, Rosemary Caramel, Raspberry, Dulcey Blonde, and Port Wine Reduction are some of the flavors that are offered in the 6 piece box and let me tell you, in the sample that I ordered these are so rich and the filling is ooey gooey goodness. The 12-piece box comes with even more flavors and is super affordable for these artesian chocolates. I literally had to pace myself while sampling these because they were so incredibly flavorful that I wanted to savor them. They really are too beautiful to eat, but not eating them would be a detriment to my tastebuds. I am going to have a hard time not snatching a few when these get delivered for Valentine’s Day to my husband. The 2018 Valentine’s Day Collection Six of Hearts box is available for $15.00, and the 12 of Hearts box is priced at $28.00, both of which are available in store and online now through Valentine’s Day. Hurry and order yours because these are seriously so scrumptious and so beautiful that the special person in your life will thank you over and over for them! The box looks very nice. I don’t like the screaming designs. I’m sure the taste is as good as the package is.